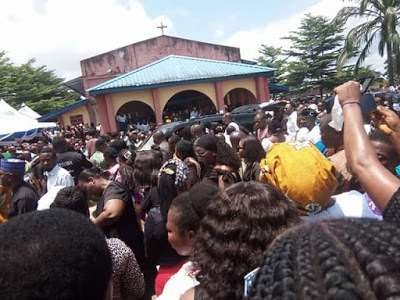 A manager at Skye Bank Plc in Akwa Ibom, Ubong Ekpe who alongside with his younger brother, drowned during a picnic at the beach earlier in April, haven been finally laid to rest amid tears from family and friends. 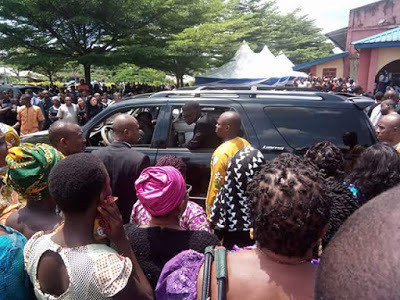 42-year-old Ubong, a father of four children had drowned along with his 32-year-old brother, Francis, at the Ibeno Beach, Iwuokpom community in the Ibeno Local Government Area of Akwa Ibom State on Sunday, April 8, 2018. 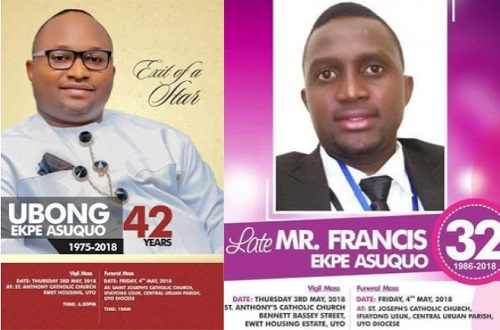 Ubong was said to have entered into the beach to swim, and when he did not surface from the waters, Francis dived into the water in attempt to save him but also disappeared. All efforts to save the men proved abortive. 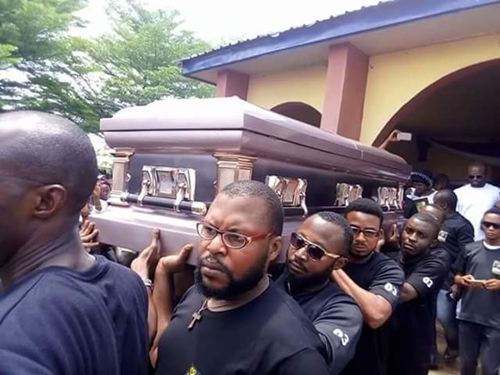 Their bodies were said to have been recovered in the early hours of the following day. 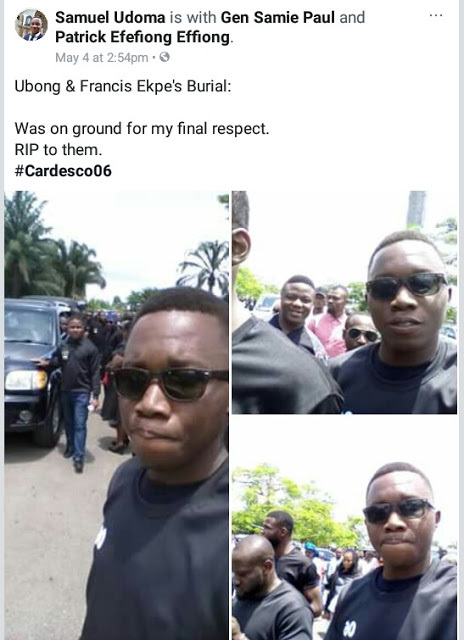 Spokesperson for the state Police Command, Odiko Macdon, who confirmed the deaths then said: "The Skye Bank manager, his children and wife went to Ibeno Beach to have fun. Sadly, he got drowned. "His brother died while trying to save him. The family initially did not report the incident. 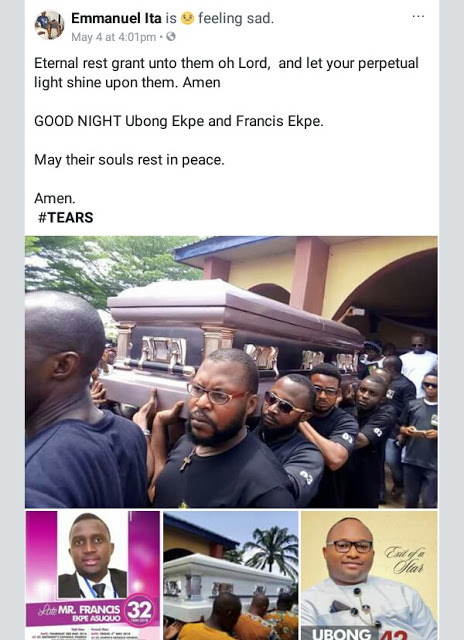 Their bodies floated and the family took them to Uyo. There is no suspicion of foul play," he said.